It is June 21st which means closet enough to Summer solstice to say it’s also Summer here in Minnesota. Summers in Minnesota also means severe thunderstorms with lightning, strong winds and heavy rain along with hail, sometimes even tornadoes or straight line winds. 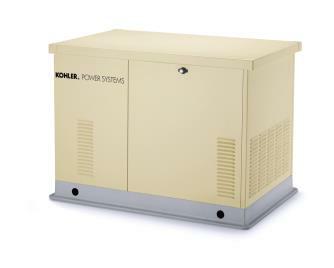 When those occur it is also not uncommon for the electrical power to go off which normally should not be an issue as the battery backed Uninterruptible Power Supplies (UPS) and surge protectors take care of the electronics until the generator kicks in. Except that did not happen early this morning, I mean the storm did however the generator failed to turn on automatically as it should have. Thus I woke up to the sound of UPS and other alert alarms beeping until I pressed the reset button on the generator. However that is not the purpose of this post, although it does set up the story in that I was too awake and with the generator running and standby electrical power, decided to make some coffee (Dunkin donut) and check the storm using online radar. Fortunately I had coffee including spare or redundant for just for when. Left to right non redundant, dual, triple, quad and five way coffee protection. While looking at the online Intellicast radar, I saw the following image which at first thought I was dreaming as coffee had not kicked in, or distracted from the storm outside. Look at the above image, use your imagination a bit, can you see the rough shape of what looks like a person walking in the middle of the storm? See the legs, body or torso, shoulder or arms? Watch this video (click on the above image) and see if you can visualize the storm walking (imagine the legs in yellow) along with body and arms (also in yellow) moving as though pushing the storm along to the east. On the other hand if you can’t see or visualize the storm walking, no worries, meanwhile I am going to have some more coffee, take care of some other things while enjoying the storm along with sunrise. Speaking of sunrise, keep in mind red sky at night sailors delight, red sky in the morning, sailors warning. Hope everybody is safe and dry, enjoy the weather while it lasts.